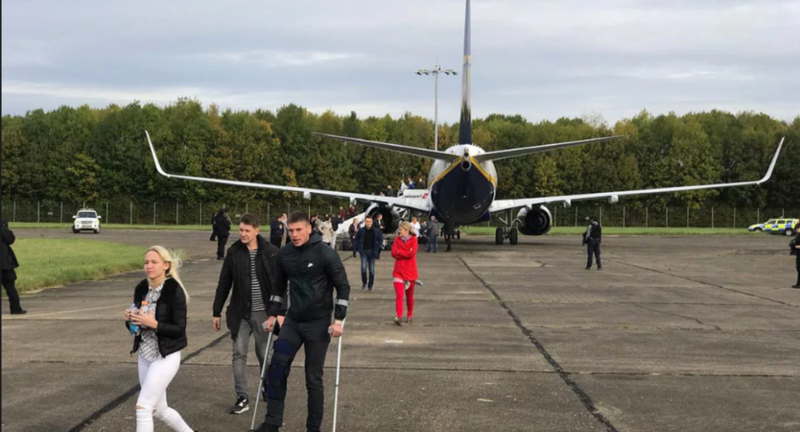 A Ryanair flight from Kaunas, Lithuania, was bound for Luton Airport when a security alert was prompted, in what is thought to be a hoax. Two RAF jets were scrambled from the RAF’s Quick Reaction Alert station in Coningsby, Lincolnshire, and flew to intercept the jet. Stansted Airport was closed briefly during the incident, but flights soon after returned to normal. Essex Police said the plane landed safely at 8.55am and passengers were being taken off.